Maybe Democrats have some slick salesmen, like Bill Clinton and our current president, who can sell you swampland and have you convinced that you’ve bought choice beachfront property. But the omission of any mention of God and recognition of Jerusalem as Israel’s capital from the Democratic Party platform, which were in it in 2008, and then the almost failed attempt to add them after the fact, showed the clear truth about the 2012 Democratic Party. It took three boisterous floor votes to add these principles to the platform and listening to the ayes and nays in the third vote, it is questionable that they actually got the two thirds that were needed. The omission of these key principles from the Democratic platform was the party equivalent of what journalist Michael Kinsley calls a political gaffe – when a politician inadvertently says what he really believes. Democrat party operatives panicked when they realized that the platform, as initially drafted, showed today’s Democrats exactly for who they are – the home base for the nihilism, radical moral relativism, and welfare statism that defines today’s far left. , 43 percent of Americans attend church regularly. However, just 39 percent of Democrats and 27 percent of liberals do. In a Pew Research Center survey last year, 50 percent of Americans said religion is “very important”, compared to 22 percent in Spain, 21% in Germany, 17 percent in Great Britain, and 13 percent in France. Regarding Israel, in a Gallup poll done this year, 61 percent of all Americans - 78 percent of Republicans and 56 percent of Democrats - said their sympathies lie with the Israelis rather than the Palestinians. 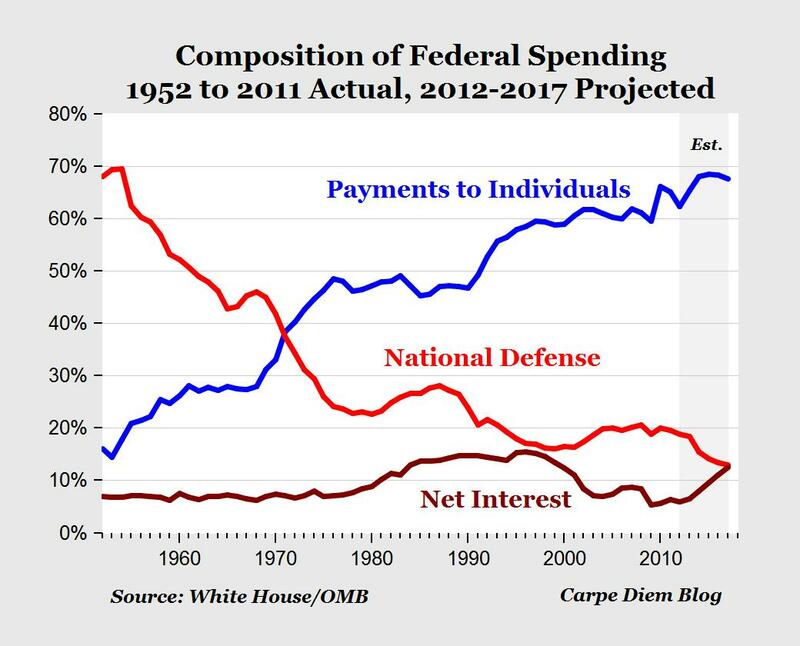 , when President Johnson signed Medicare and Medicaid into law, 30 percent of federal spending consisted of payments to individuals. Today it’s almost 70 percent. At the beginning of the Johnson presidency in 1965, 24 percent of black babies and 3 percent of white babies were born to unwed mothers. Today 73 percent of black babies and 29 percent of white babies are born out of wedlock. More than half of births today to women under 30 are outside of marriage. Unfunded liabilities of Medicare, plus those of Social Security, are $63 trillion according to their trustees’ latest report. But underlying the fiscal bankruptcy is a moral bankruptcy. But you wouldn’t know it, listening to la la land Democrat liberals. 50 percent of Americans now living in a household getting government benefits, we’re losing perspective that you even need a goose to get eggs. God-fearing, family and church centered American values created the American prosperity that opened the door to entitlement programs. If you think debt, government dependence, broken families, and moral relativism is the path to a strong and prosperous America, sign on with the Democrats. But Republicans need to do a better job embracing and articulating the alternative. Republicans need to step up to the plate and start talking about our nation’s real crisis – our moral crisis. The nation’s searching middle class will understand the truth when they hear it. But they need to hear it.